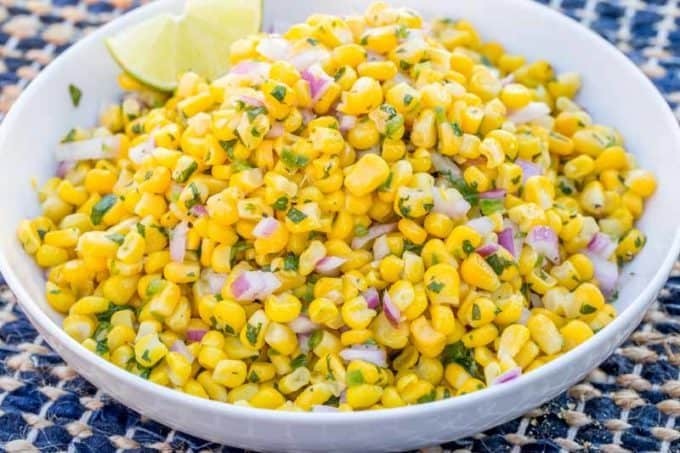 Chipotle Corn Salsa is a delicious and fresh corn salad with jalapeno, lime and red onions just like the salsa served up at Chipotle. Chipotle Corn Salsa is one of two sides I make with almost all Mexican food served in our house. The thing about it is most Mexican main dishes I make are usually meat or starch heavy. This Chipotle Corn Salsa and a fresh pico de gallo salad that I’ve adapted from a Pioneer Woman recipe for Pico Salad are a good counterpoint to all the meat, cheese and rice they usually accompany. Chipotle Corn Salsa isn’t really a traditional salsa if we’re being honest, there isn’t much liquid in the mix at all and we always serve it as a side dish. You’re certainly welcome of course to serve it as you’d like, but if I wanted it to be a bit more like a traditional salsa I would likely add in some salsa verde to it. 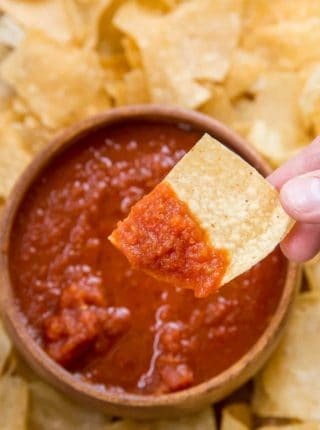 I wouldn’t go with a red tomato base to the salsa. 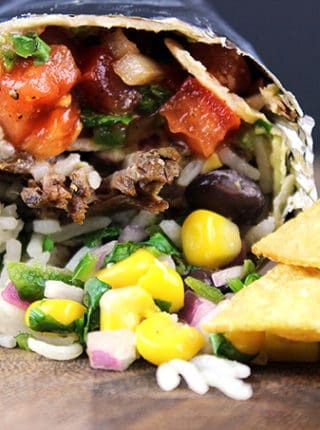 If you’re looking for an authentic Chipotle meal, look no further! Corn Salsa – You’re already here! This blog is heavy with COPYCAT recipes so if you LOVE copycats I highly recommend taking a look through the index and if you love Panda Express I have the entire menu recreated on the blog! 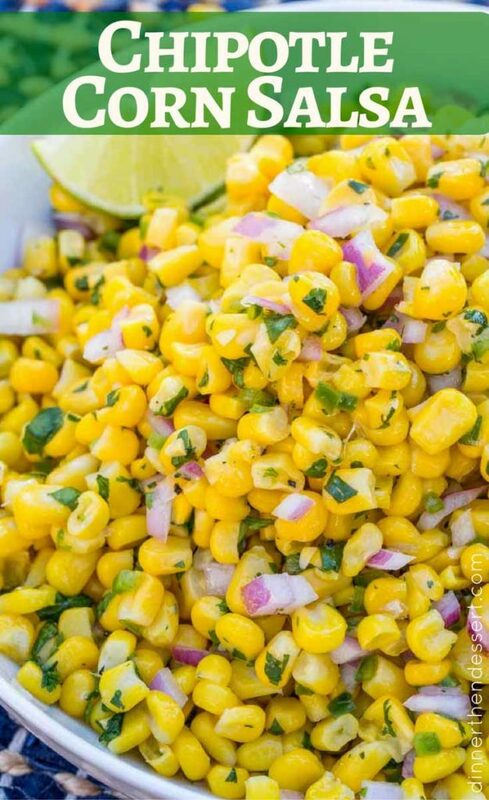 A delicious fresh, bright corn salad just like the salsa served up at Chipotle. Takes less than five minutes to make, an hour or so to sit and let the flavors meld together. Mix all the ingredients together and let sit for an hour to let the flavors meld together. I’m curious as to whether you cook the corn prior to making this? You only need to cook the corn if you’re using fresh corn off of a cob. If using frozen or canned, no need to cook as it’s already cooked. Enjoy! It’s got such a great flavor! I don’t blame you for always getting it! Although I’m sure you can use either fresh or frozen (thawed) corn, which is best for this recipe? I always tend to think fresh is best and prefer the yellow corn better than the white. Omg just made this! Next time will tripple the quantities! It was so good!!! Kids loved it 5 stars all the way! Awesome!! Thanks for letting me know how much you all enjoyed it! Can I use frozen corn thawed? Yes, I frequently do too! 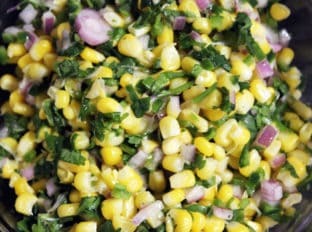 Corn salad! Yummy! That looks super good! I love a good Mexican salad! They know how to do it right! I love it when you toss a bunch of ingredients together and a tasty recipe is born! This is a great salad for a BBQ. Looks so fresh and tasty! I love pretty much anything featuring cilantro, and that includes pico de gallo, which I swear I could drink. I’m a little goofy sometimes about corn recipes, but this one looks good! Me too! I know cilantro can be polarizing, but I LOVE it. My sweetie is obsessed with all things Chipotle. I’m sure he would be in heaven if I made this for him. Thanks for the recipe! Mine too! he is always so happy when anything chipotle is made at home! This look awesome! I’ve made something very similar before. This looks and sounds amazing! Not only would it be good to eat by itself, but I think it would be really yummy to eat with tortilla chips. Yum! This is exactly what I was looking for to make for dinner tonight. I haven’t tried the corn salad. But ti looks wonderful!! That’s a lot of flavor burst going on in that salad. I think it sounds absolutely summery delightful! Oh my heck…that looks soooo good! I would have never thought of this sort of combination…usually we just have plain old corn at home haha. I’m definitely making this! I promise if you try it you will love it! Oh my gosh, I think the husband would love this! I’ll have to try it out. Looks really good, I love any recipe with corn in it! Great summer dish! It is such an easy throw together recipe and with no added fat, it is hard to go wrong! Great for summer, and for picnics too! Yum, that looks incredible. We have a bunch of barbecues coming up and this would be a wonderful dish to bring along. I love Chipotle but haven’t tried their Jalapeño Lime Corn Salad. 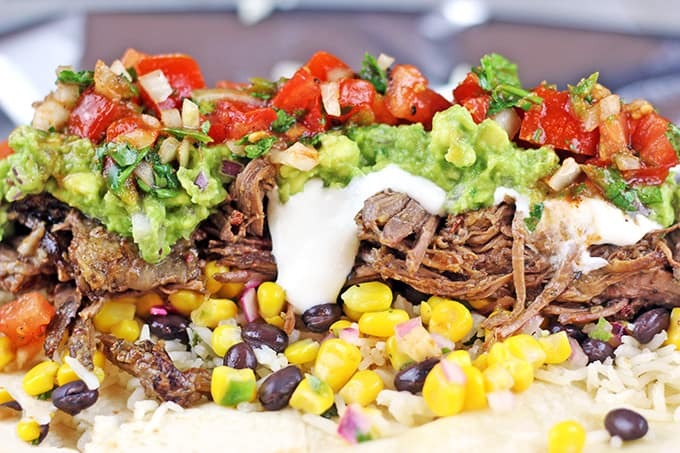 We serve Mexican dishes a lot at home, I may have to try my hand at making it! I will be teaching my sons simple recipes this summer. 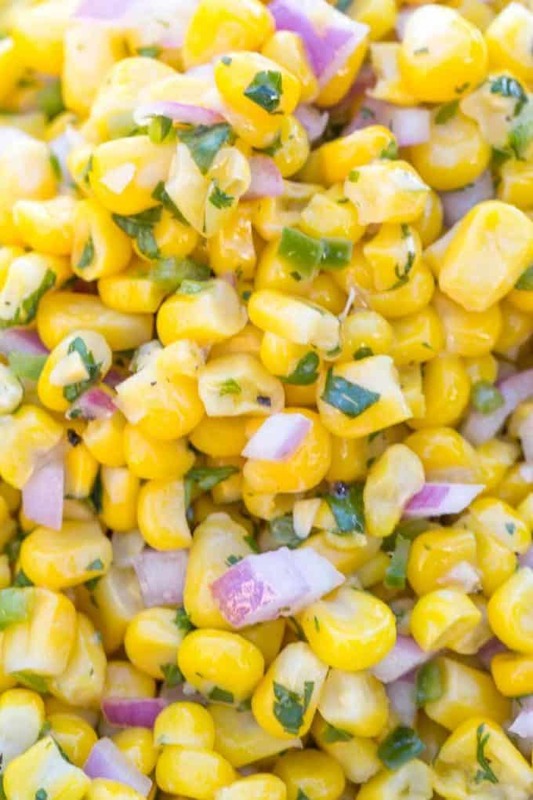 This Corn Salsa just made the list! I am Chipotle’s biggest fan and this is my favorite item to put on my bowl!! 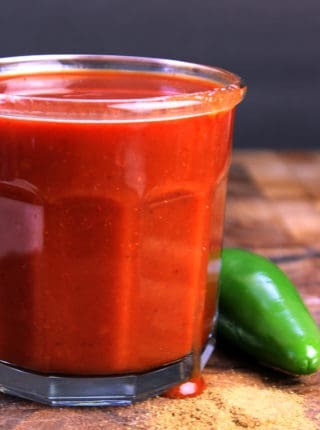 I pinned this immediately because I have been looking for a copy cat recipe for a while so thank you!! That looks so good and colorful. I love cilantro too so I’d eat this for sure. 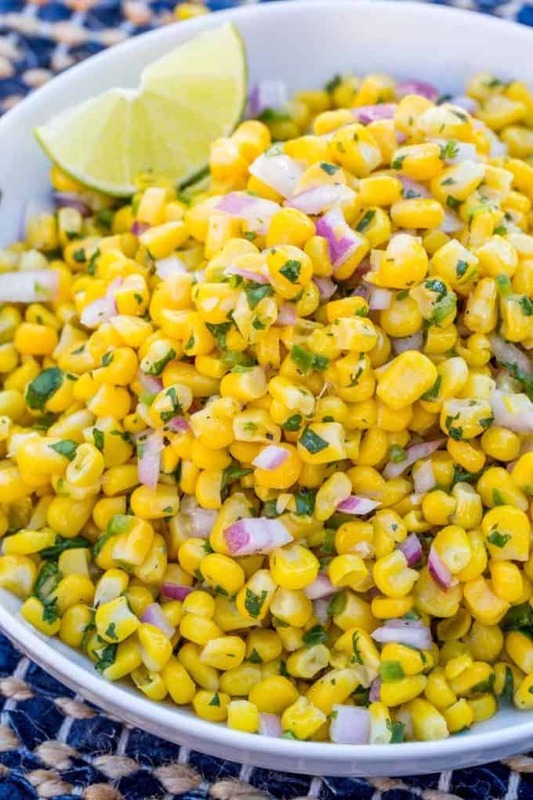 This jalapeno lime corn salad looks delicious! 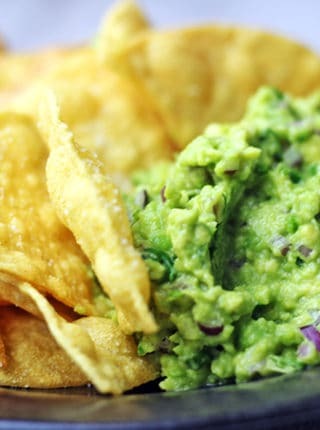 This would be good with tortilla chips! Yes please! I’ll take two bowls of this. What a great recipe. That does look tasty. I will give it a try. I always love recreating restaurant’s recipes! This one looks tasty. Ooh that does sound super good. I’d love to bring some Chipotle into the home. I’d be a big fan of this salad! The Florida corn is amazing right now, and I love spicy! This sounds delicious. It would be perfect to take on a picnic this summer! Yum! That looks and sounds incredible. Definitely different than any salads we make, I’m sure they’d be a hit at our house! This sounds delicious! So perfect for summertime! Yum! This is definitely making its way to our table! I absolutely love those flavors. That looks so good! I’ve never had corn salad before, but I think it’s time I changed that! That sounds delish! It’s perfect for all the summer cookouts coming up.